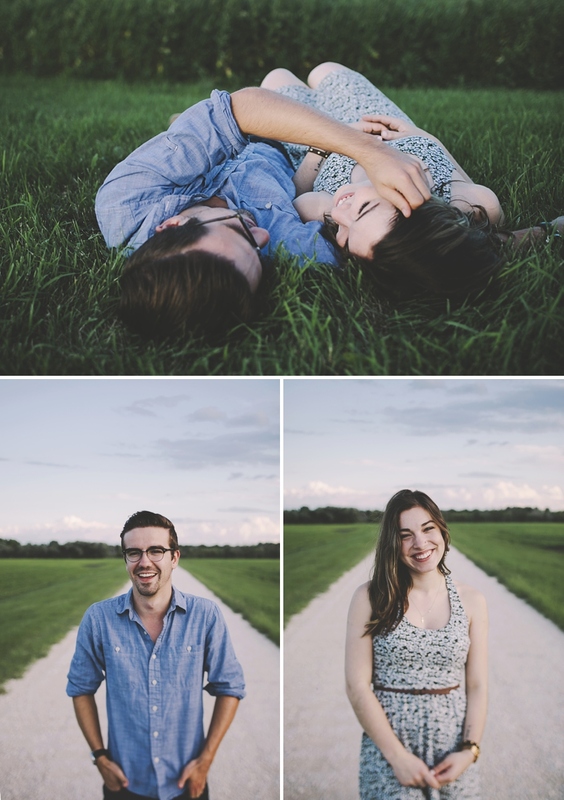 some images from last summer of two very dear friends of mine. we spent time in their apartment, before they had even moved in completely and there were boxes on the floor. matt made us coffee and then we went for a walk in their neighbourhood and it was really really nice. xo. carleigh + brian's wedding was lighthearted and full of pure joy from start to finish. the rain held off until just after their garden ceremony ended, but after the downpour was through we were given a misty, mid-summer forest dreamland to take photos in. friends from all over the world came to celebrate with them, and the cozy party that followed was full of amazing food and so many laughs. congratulations again, carleigh + brian, and thank you for letting me share in this day with you. xo! thank you to eric ballard for assisting at the ceremony! two ridiculously cute fur babies + two total babes + two cool bikes = one hella fun shoot. thank you for sharing your quiet love with me, friends. two of the sweetest, warmest and most genuine people i've ever met. this perfect little laidback party was just right; the house filled with people that loved them, incredible food (and that cake! still dreaming about it...), and an impromptu dance party in the backyard with an ipod speaker. smack dab in the middle of summer, but this day still gave me chills. thank you, will + lauren. james + antonia had been together for over 13 years by the time they were married, and it was amazing to see how much their shared history and families and relationships were so strongly intertwined. james + antonia are a couple of really wonderful souls, and i still feel so lucky to have been a part of their wedding. the colour and light and pure joy that was present the whole day is totally reflective of who they are. the most gorgeous flowers from antonia's mom's garden filled the tent, and the veggie buffet (read: dream) was on point. everyone was down to celebrate and these two threw such a rad party (which lasted until six am the next morning!). congratulations again, james + antonia! thank you to laura andrews for assisting! where to even begin with this pair! i've known joe + kelsie for several years and they've always been easygoing, quick to laugh and so lovely with each other. they are sweet and welcoming and have this warmth that draws you to them. i'm honoured to call them friends. they were married this past saturday and i am so, so happy for them. david + sara are warm, lovely & brilliant people. i feel as though i've known them for far longer than i actually have. their love is a good one & their spirits are kind. we wandered around their new neighbourhood, just a few days before they moved into their new home. they are getting married tomorrow near the water and i'm so excited for them. they deserve the best day possible & the biggest love surrounding them. meg and mitch. these two were married on the most perfect autumn day. their intimate ceremony was held in a historic house in a beautiful neighborhood. the reception was one of the best celebrations i've ever seen - a small restaurant packed with love and friends and family and laughing.